10.5.13 | Oh Look! It's A Blog! I know that Halloween is still a bit away, but I decorated my most recent house in the theme of a Halloween Party. 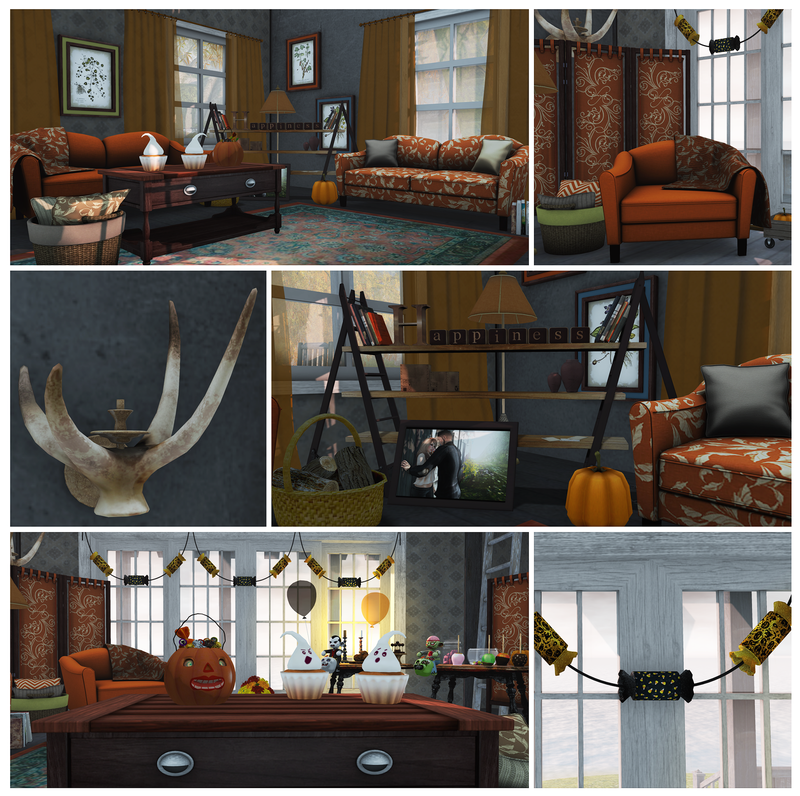 Trompe Loeil released a new furniture set at FaMESHed which opened October 1st. I LOVE this set. There are TONS of color combos available for all the furniture though, as well as the ability to change the blankets and pillows. The set itself is 7 pieces (or you can purchase individually) and it is all materials ready if you use a materials enable viewer. The coffee table even has the ability to click to open the drawers or the top lifts up….so many options. It is available in both a PG an adult version as well. *includes everything you see rezzed on the shelf and the floor picture frame. Don’t you worry, don’t you worry, child. Don’t you worry, don’t you worry now. 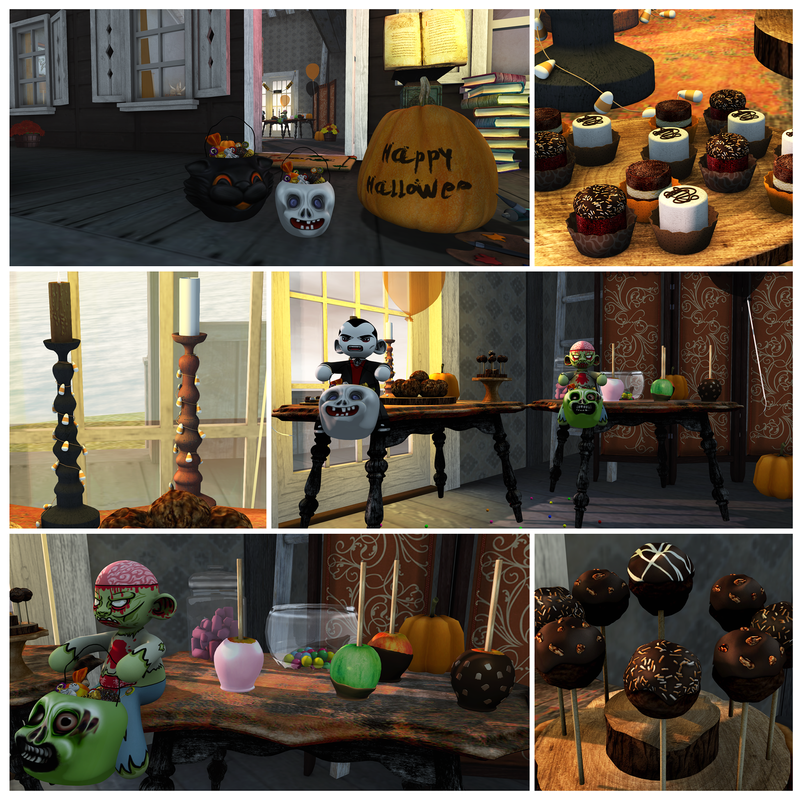 This entry was posted in iheartslFeed, Uncategorized and tagged .Infiniti., .Lame, 11th Hour, 22769, 7, 7 Emporium, A&A, Adore & Abhor, Ashdon, Bauwerk, Black Cat, Black Sheep, blog, c(TC), Candy, Candy Fair, Cat, Culprit, DDD, Decor, Dysfunctional Designs, Eleventh Hour, fameshed, Fantasy Gacha Carnival, Freaky Design, FreakyDesign, Furnishing, Furniture, Gacha Carnival, Halloween, Halloween Party, Home, Ionic, Lark, Mens Department, Mens Dept, Mes Brics a Bracs, Mesh, mud honey, mudhoney, Second Life, Seven Emporium, Sweet, Sweets, The Fantasy Gacha Carnival, The Men's Dept, Trompe Loeil, Two Cats, Two Cats One Cup, what next, YAS, Yay and Stuff, Zooby. Bookmark the permalink.